1. How was this project born: from which needs? To answer which question? Since we live in technology age, we need digital tools such as computers, Ipads, notebooks, ..etc. in every part of our lives. We can’t imagine our lives without the products of this age. In every work areas, we need these tools as we do in schools. How can we use more technology in Education ? 2. What is in your opinion innovative on this project? Designed to provide every student with the best education, the highest quality educational content and equal opportunities, FATIH Project is the greatest and the most comprehensive educational movement about education technology use in the world. 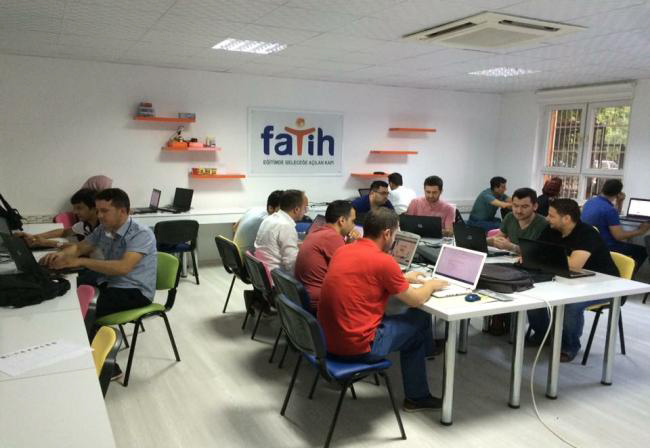 FATIH Project in Education was launched with the purpose of providing equal opportunities in education and improving the technology in schools in a way that informatics technology tools to engage more senses in the educational process. 3. Which are in your opinion the ICT competencies of adolescents that are important for your project? And how are they valorised through your project? Interactive board and tablet activities using internet valorize collaboration, crital thinking, and indirect method in lessons. This grasp the attention of young people and get their interest. They work in groups sometimes and improve their creative thinking with brain storming activities. 4. What did your discover through the project that you didn’t expect or imagine? Sometimes using internet can be understood by students as whatever they want they can do in internet during the lessons. This has been prevented by the security systems for internet. 5. What is the link between your project, media competencies and active citizenship? In our project, children use tablets and new programs. Teachers also use tablets and interactive boards. These materials are directly related to the media competencies. With certain lesson subjects students become active citizens while using these materials and internet when they learn these subjects. 1. What happens during activities? Which working steps are asked from the students? 3. Equality (equality of opportunity): Enabling all shareholders access to the best service. 4. Measurability: Providing accurate measurement of process and results and giving feedback accordingly for the development to be assessed better. 5. Quality: Enhancing the quality of whole education in a measurable way. 2. Which methodologies do you use? By using the classroom management system, interaction between teacher- student-interactive board-tablet are provided, informating gathering/learning processes are used more efficiently, we ,as teachers, are able to share the materials produced in classrooms with his/her students, assign them homework, measure the learning levels in a more controlled way via classroom management. For the effective use of this system, high speed and secure internet (VPN) is provided to all schools. Systems installed and changes in the hardware in schools can be followed by school information system and EBA platform. 5. Which project choices do you consider strategic? In this project using internet and interactive boards to reach information is the most strategic thing. 6. How do you arouse curiosity in the teenagers? 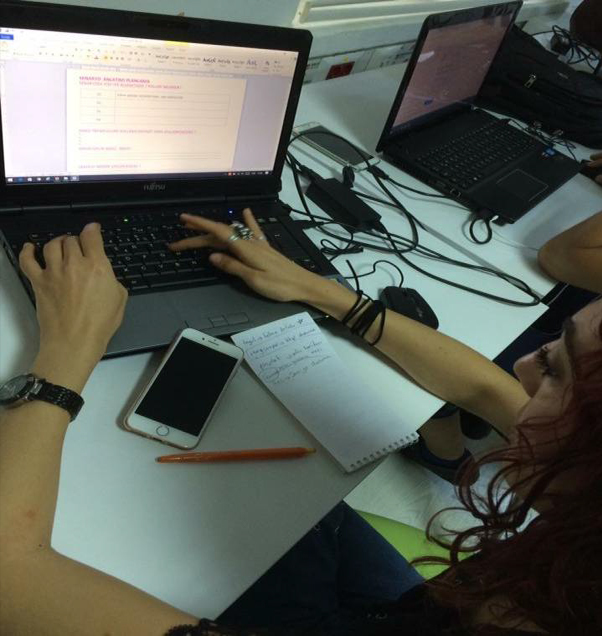 Since the project is directly related to the internet, all teenagers are willing to use it ! 7. What do they learn? Any subject is each profession can be taught with these project. While in some lessons teacher use interactive board, in some others they can use tablets. So stydents can learn all the lessons with this project. Also, students are able to continue or strengthen the learning process outside the school. 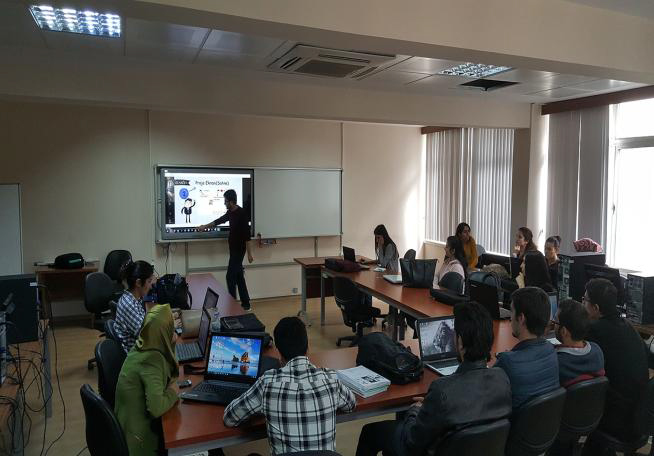 With FATIH Project in Education, students are able to access the course notes, classroom projects and homework assigned by teacher independent from where he/she is, share the information produced with teachers and students and also strengthen the topics learned with EBA content. 8. Which competences are developed and enhanced? Being able to draw the right data among millions of data and analyse the related one make it easier to win students by an individual educational tool who haven’t been included before and also become a source of information in terms of directing students to the right profession considering the interest and success fields. It is must to conduct individual data analysis to win a student individually. 9. Which are expected results and those effectively attained? We aim to make students to to learn how to search and find true information themselves with the guidance of teachers. 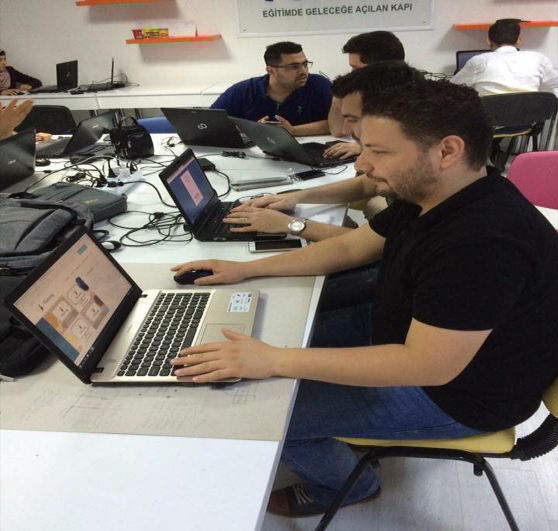 We also want to improve creative thinking and interactive working. Individual evaluation, individual learning, improving self confidence, interactive learning under the guide of teacher. 10. How do you evaluate this experience? Do you evaluate it at all? Identifying the subjects to which a student is disposed. 11. When things don’t work out, how do you readapt activities? 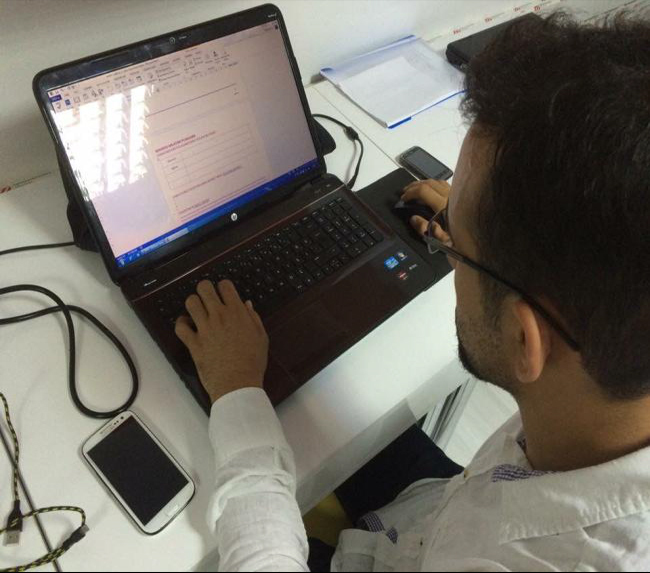 Most of the students wants to join the project because this is like a game for them and they already motivated. So we don’t need to readapt them. The project aims the testing and implementation of innovative methodologies and practices in the field of education, in secondary schools of 8 European countries: Czech Republic, Finland, Greece, Italy, Lithuania, Poland, Portugal and Turkey.